From The Baltimore Sun. 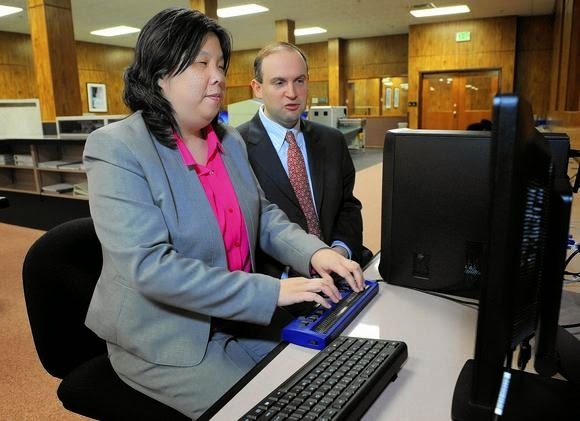 In the picture, Anne Taylor, director of Access Technology, Jerrigan Institute, National Federation of the Blind, uses braille and QWERTY keyboards in the International Braille and Technology Center for the Blind. Dr. Jonathan Lazar, professor of Computer and Information Sciences at Towson University, is working with her on a technology that makes CAPTCHA, a website security feature, accessible to blind people. While blind people can browse the Internet through a variety of means, there is often one thing that stops them cold — a security feature known as a CAPTCHA that's designed to distinguish human users from robots. CAPTCHAs, in which a user must identify the letters in a distorted image, are commonly used to block automated bots from grabbing up all the tickets for an event, signing up for thousands of email addresses in a short period of time or unfairly swaying the results of an online poll. They have drawn criticism from advocacy organizations for the blind for being too difficult to use, but last month, Towson University secured a U.S. patent for a new kind of CAPTCHA that's intended to be easier for those with limited or no eyesight. With Towson's SoundsRight CAPTCHA, users listen to a series of 10 random sounds and are asked to press the computer's space bar each time they hear a certain noise — a dog barking, a horse neighing — among the other sounds. The developers say it is superior to Google's current audio alternative CAPTCHA, citing studies showing that version's failure rate of 50 percent for blind users. "Blind people are capable of doing everything that a visual person can on the Internet," said Jonathan Lazar (pictured), a Towson professor who has led a group of graduate and outside researchers on the project. "We just try to come up with some equivalent features that make it easier." "Some people are unaware that blind people can use the Internet," Lazar added. The SoundsRight CAPTCHA is still in a "beta" version, Lazar said, and the developers are hoping a real-world rollout will help identify any necessary tweaks. The Towson researchers worked closely on testing with the National Federation of the Blind, which is headquartered in the Riverside neighborhood of Baltimore. Anne Taylor, the federation's director of access technology, said there are several types of software available for blind users to read the text on a Web page aloud. Taylor, who is blind, said not being able to use visual CAPTCHAs could impede a blind person's ability to enjoy the benefits of the Internet and hurt their ability to hold a job. A sighted person could help a blind user with the visual CAPTCHAs, she said, but the blind want to be independent on the Internet. Further, since many CAPTCHAs are on web pages that ask for personal financial information, she has concerns about privacy. "The Internet is such an important and integral part of our daily lives now," Taylor said. "Just think of how many hours you spend on the web as a sighted individual. Would you really want to have someone with you all that time?" CAPTCHA, which stands for Completely Automated Public Turing test to tell Computers and Humans Apart, was introduced as a concept by computer scientist Alan Turing in 1950. The term was coined in 2000 by researchers at Carnegie Mellon University who developed an early Web page test program for Yahoo. The CAPTCHAs protect from automated hacking programs that can also leave spam comments on blogs, attack protected passwords and send junk email. Tim Brooks, the chief software developer on the SoundsRight project since 2010, said the audio CAPTCHA can be embedded into any Web page and customized by the webmaster. Brooks said its script could be tweaked to be used in any number of different languages or have users identify any number of sounds. An organization for train enthusiasts, he said, could potentially have users identify the sounds of different types of trains. The SoundsRight CAPTCHA is just as secure as the traditional visual CAPTCHAs, he said. Sighted users can use the audio CAPTCHA as well, or a Web page could give the option of either a visual CAPTCHA or the SoundsRight CAPTCHA, he said. The only potential downside to the technology is that it takes about 30 to 40 seconds to complete, versus less than 10 seconds for a visual CAPTCHA, Brooks said. "A lot of people don't have that kind of patience," he said. The Towson CAPTCHA project was the brainchild of then-undergraduate student Jon Holman in 2007 as a class project, Lazar said. In a 2007 focus group, blind users identified visual CAPTCHAs as the biggest impediment to their using the Internet independently. Several other students, faculty members and outside researchers have assisted in developing the technology since the project began. "We've always done the evaluation with blind users at every step," Lazar said. "This was research that was done because blind users were telling us this was important." The project was partially supported with a $50,000 grant from the Maryland Technology Development Corp., Lazar said. The researchers went through several different prototypes, rejecting those that weren't found to be secure enough. The SoundsRight CAPTCHA is in use on the National Federation of the Blind's website, and the organization is working to encourage various groups and businesses to adopt it. "We are all one step away from a sudden disability, so why not make the Internet an inclusive place for everybody?" Taylor said. But because the family is that of Ernest Hemingway’s descendents, “Running From Crazy” can’t help but be drawn to the ways life is lived in the darkest shadows of celebrity, even in the middle of what appears to be a glorious, sun-drenched Idaho summer circa 2011. Running From Crazy (two hours) airs Sunday at 9 p.m. on OWN. People with disabilities have the same rights as everyone to make decisions about their lives, including the right to take risks and make mistakes, a United Nations committee has stressed in new guidelines. “Respect for the freedom to make choices should be accorded to all persons with disabilities, no matter how much support they need,” said Theresia Degener from the Committee on the Rights of Persons with Disabilities (CRPD). “People with disabilities, including those with psychosocial or cognitive impairments, must be supported in making decisions, and not have decisions made for them, even when it is thought to be in their ‘best interests’,” she stated in a UN news release. The Committee noted that while Article 12 of the Convention on the Rights of Persons with Disabilities enshrines equal recognition before the law, many such persons are denied legal capacity, often on the basis of mental capacity assessments, and are deprived of fundamental rights such as the right to vote and the right to marry and found a family. There is a general misunderstanding of States’ obligations under the Convention and a failure to recognize the importance of “supported decision-making,” said the Committee. Instead, “substituted decision-making,” where others make choices on the person’s behalf, remains common – for example under guardianship regimes or through the use of mental health laws that permit forced treatment. The Committee has issued a detailed reading of Article 12 to clarify States’ obligations, in which it underscores the position that States are obliged to provide persons with disabilities with the broad range of support they may need to make decisions that have legal effect. “Support in the exercise of legal capacity must respect the rights, will and preferences of persons with disabilities,” stated the 18-member body, which monitors States’ implementation of the Convention. The panel recognizes that it is not always possible to determine exactly what an individual wants, but in these cases decisions should be made on the “best interpretation of their will and preference,” rather than basing choices on what they regard as the “best interests” of the person. The Committee also noted that “supported decision-making” is closely tied to accessibility of services, information and communication, set out under Article 9 of the Convention. In this regard, the Committee details the importance of accessibility in allowing persons with disabilities to enjoy and realise their human rights and fundamental freedoms on an equal basis with others. Persons with disabilities face many barriers, and so “it is important that accessibility is addressed in all its complexity, encompassing the physical environment, transportation, information and communication, and services,” it noted. Goods, products and services provided to the public, the Committee stressed, must be accessible to all, regardless of whether they are owned and/or provided by a public authority or by a private enterprise. All new goods, products, facilities, infrastructure, technology and services should be designed to be fully accessible by persons with disabilities. States should also set definite timeframes for and allocate adequate resources towards removing existing barriers. Austerity measures are no excuse for failing to ensure gradual accessibility for persons with disabilities, the Committee added. TV streaming site Viki is teaming with actress Marlee Matlin on a new campaign, the Billion Words March to advocate for closed captioning of online video here and abroad, according to a representative of the company. The campaign is tied to the FCC's request for comments on its Feb. 20 vote to require broadcasters and cable operators to make their best efforts to improve the quality of closed captions and whether qualitative standards are needed. Comments are due April 28. Viki streams TV shows in more than 150 languages and has content deals with NBCU, A&E, TBS and BBC among others, according to Viki. Matlin, who is deaf, won an Oscar as best actress for Children of a Lesser God and has had numerous TV roles including a continuing role on The West Wing. The goal of the campaign is to insure "complete and accurate" online captions. “It’s not just a few people who need this. We’re talking about hundreds of millions of people around the world who are deaf and hard of hearing but who deserve access to entertainment, no matter what language they speak,” said Matlin in a statement. Viki wants to collect supporters as well as encourage online programmers to do more captioning. The FCC is requiring captioning of full-length online video re-aired from broadcast or cable, but so far not to web-original video or video clips. The campaign is tied to the FCC's request for comments on its Feb. 20 vote to require broadcasters and cable operators to make their best efforts improve the quality and of closed captions and whether qualitative standards are needed. Comments are due April 28. Matlin, who is deaf, won an Oscar as best actress For Children of a Lesser God, and has had numerous TV roles, including a continuing role on West Wing. The FCC is requiring captioning of full-length online video re-aired from broadcast or cable, but so far not to web=original video or video clips. Disabled Canadians gamers are finally getting a chance to try-before-they-buy with the opening of the Accessibility Arcade at the University of Toronto starting April 26. Housed in the Semaphore Research Cluster at the university’s Robarts Library, the Arcade will showcase the latest technology and controllers that allow people with disabilities to play popular console and PC games such as Call of Duty or Assassin’s Creed. After this weekend’s public open house, the permanent installation will be accessible by appointment. “This is a testament to the university’s commitment to people with disabilities in Canada,” says Mark Barlet, founder of the AbleGamers Foundation, the West Virginia-based charity behind the Arcade. 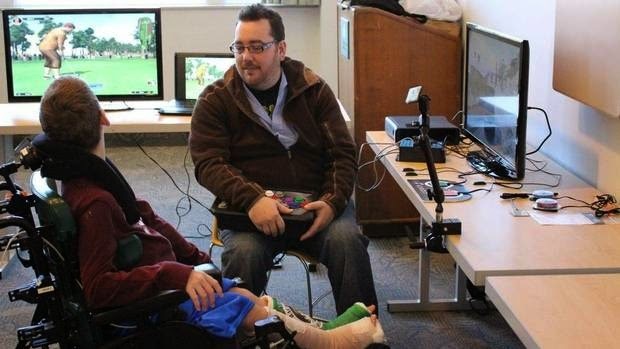 Custom-made controllers for gamers with such disabilities as cerebral palsy or multiple sclerosis are expensive, often running between $400 and $900. Mr. Barlet says he has received many e-mails from people who have bought the controllers, only to find that they don’t fit their specific needs. At the Arcade, specially trained staff will assess individual gamers’ needs and advise them on the best equipment to buy, which can also include special software for sensory issues. The first Accessibility Arcade opened in 2012 at the Martin Luther King Jr. public library in Washington, D.C., with the new Toronto installation the first one outside the United States. AbleGamers estimates about one in five American gamers, or about 65 million, have some sort of disability, with a similar ratio likely in Canada. The organization favours Xbox and PC games because those platforms tend to work better with accessibility technology. Cinema Libre Studio press release: Watch the trailer here. LOS ANGELES -- In Too Sane for this World, director William Davenport allows 12 adults with different types of autism (PDD-NOS) to let their voices be heard. The film, shot and edited with a mostly autistic crew, became available on DVD on April 8 with On Demand options to follow in May. The film features twelve people, some with Aspergers Syndrome and others considered “high-functioning” autistic, such as Temple Grandin (author and professor), Robyn Steward (a musician and trainer/mentor for others on the spectrum), Greg Yates (who studied biophysics and psychology at U.C. Berkeley and MIT respectively) and Rudy Simone, who has written four best-selling books on Asperger's. The film, which was an official selection at the Hawaii International Film Festival and was an honorable mention that the SAMHSA Voice Awards in 2012, also features other adults who are perhaps less high-functioning but are still working hard to find a meaningful place in our society. Davenport (Citizen Autistic) has worked in commercial film production for years and developed educational courses on digital filmmaking for U.C. Berkeley, San Francisco State and the Art Institute of San Francisco before. He also has earned a Masters in Special Education with a certificate in autism studies. He became the Executive Director of the Autism Social Connection in Northern California, where he created a unique filmmaking program to teach skills to children, teens and adults on the spectrum. He recently relocated to Washington, DC and currently teaches filmmaking at the Ivymount School. “Too Sane for This World, tells the heartfelt story of adults living on the autism spectrum. Davenport’s insightful interviews and arresting camerawork take us into the lives of these extraordinary and yet often misunderstood individuals. The film is a must-see for teachers, professionals and parents who work with Asperger’s and AS,” says Camilla Bixler, Co-Director AASCEND (Autism, Asperger Syndrome Coalition for Education, Networking and Development). A percentage of Davenport’s profits will be donated to AASCEND. 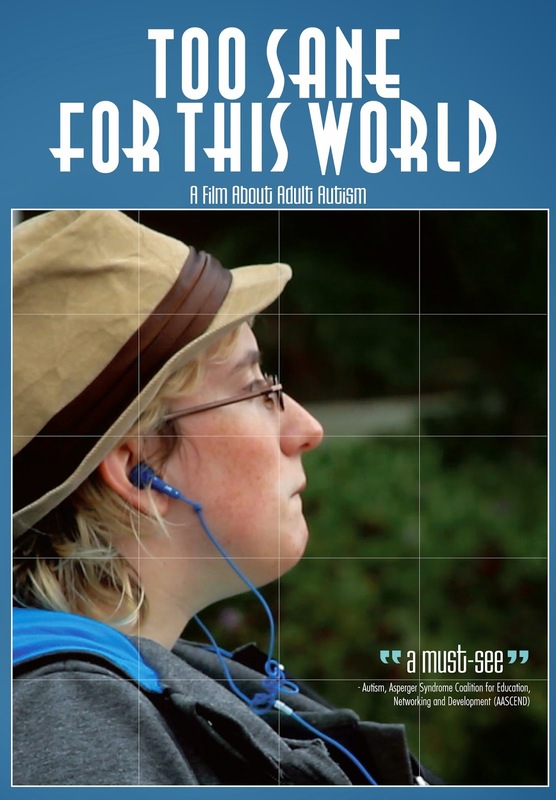 SYNOPSIS: Too Sane for This World explores the challenges, gifts, and distinct perspectives of 12 adults on the autism spectrum. Featuring an introduction by bestselling author, Dr. Temple Grandin, and interviews designed by adults with high-functioning autism, the film discusses many of the problems facing the autism community – from bullying to marginalization and discrimination. A unique collaboration between neurotypical and atypical individuals, men and women living on the spectrum speak candidly about defining and coming to terms with their autism, difficulties they’ve faced, and the experiences that have shaped their lives, illustrating the neurodiversity of the mind and its limitless potential. The 63 minute documentary will become available in North America on April 8 on DVD (at traditional DVD retails outlets) and streaming platforms to follow on month later (May 8, 2014). Content includes discussion on signs and symptoms of autism and aspergers; autism testing and self-identification, career paths and more. Bonus features include: “Space Cadet” Music Video, by Array, featuring Robyn Steward and Mark Tinley (formerly of Duran Duran), Trailer and Interactive menus. Movie available at CinemaLibreStore.com, Amazon and other retail outlets. COMING TO STREAMING ONLINE & ‘ON DEMAND’ (Amazon Instant, Hulu, Cinema Libre On Demand)– May 8, 2014. From Discovery News. In the picture, Roseann Sdoia, a Boston Marathon bombing survivor, tries out a new leg at Next Step Bionics, Inc. in Newton, Mass. When bombs rocked the Boston Marathon last year, emotional reverberations were felt throughout the country: Communities held memorial races and sported Boston Strong ribbons and shirts, created makeshift memorials out of running shoes and American flags, donated money to families of injured runners. Engineers, meanwhile, got down to the nitty-gritty: Building better prosthetics for the 16 survivors who lost limbs that day. "I think Boston raised awareness and is kind of inspiring for promoting recovery instead of focusing on the injuries," said Levi Hargrove, Director of the Neural Engineering for Prosthetics and Orthotics Laboratory at the Rehabilitation Institute of Chicago. Even though his lab hasn't worked directly with survivors, everyone in the field has felt the impact, he said. "The survivors are getting back to their lives, working with scientists and therapists, because they're going to be living with this condition for a long time," Hargrove said. For a month, Pierpaolo Petruzziello's amputated arm was connected to a robotic limb, allowing him to feel sensations and control the arm with his thoughts. Last month, one of those survivors took the stage at TED2014 and showed off her first-of-its-kind bionic leg that allows the professional ballroom dancer to rumba again. After Adrianne Haslet-Davis danced, she tearfully thanked Hugh Herr, director of the Biomechatronics Group at The MIT Media Lab and creator of the leg. "All this emotion poured out," Herr said. "The very first time she [tried the new leg], she was ecstatic. She was so joyful about being on that dance floor and feeling that freedom again." Herr, whose lab partnered on a fund to support the development of specialized prostheses for runners after the Boston attack, based Haslet-Davis's leg on data he gathered from dancers of a similar build and body type to Haslet-Davis's. He invited the dancers to his lab, which was tricked out with sensors to track exactly how they moved and how their forces impacted the dance floor. The idea, he said, was to extract those principles of dance and imbed them into chips on the bionic limb. "It's responsive in a way that's appropriate biomechanically," he said. "It doesn't simply output a traditional trajectory that she would have to keep up with like a wind-up toy. It's more like she is the lead and the limb is the partner." The leg also has to be able to move like flesh and bone, so the lab uses a "smart" material that can flop and stiffen depending on the voltage being applied from the body. David Sengeh, a graduate students who also works in Herr's lab, recently won the Lemelson-MIT National Collegiate Student Prize Competition for his work on improving the sockets used in prosthetics. Conventional molding methods often result in prostheses that don't fit precisely, and often cause pain. Sengeh uses MRI and a 3D printer to create a design interface based on individual data. "The goal is to make a model where you can enter someone's data, press play and get a comfortable socket," said Sengeh, who tested the method on one of the Boston survivors. The end result? Without the short skirt she wore at her TED performance to show off the leg, it may have been impossible to tell she wasn't born with that leg. Not everyone is excited about the brand new fleet of BART cars that's supposed to make your commute quieter, more comfortable, and less smelly. BART riders with disabilities say the new fleet -- expected to roll out in the next two years -- actually offers less access for them. Specifically, the new design has added handhold poles in the middle of the entry ways, giving standing passengers something to hang onto while the train is moving. But that pole is blocking the ability for wheelchair users and other riders with disabilities to access handicap seating, says Jessie Lorenz, executive director of Independent Living Resource Center San Francisco, which serves 5,000 people in San Francisco. The issue has motivated passengers with disabilities and activists to protest the grand opening of the new BART fleet tomorrow afternoon. "Our message is simple: they need to remove the damn poles," Lorenz tells SF Weekly. Lorenz, who is blind, says she got a call from one of BART's managers today who asked her to cancel the protest. But Lorenz says her community isn't backing down from their request. "They're trying to give us this song and dance that they're getting so much flak from the bike community because they don't accommodate bikes to which I say: this is a Civil Rights issue," Lorenz says. "[The BART manager] straight up said 'yes this is going to cause more problems for people who board trains with mobility problems and strollers, but how much sacrifice for the few do we make for the ability of many to stand -- and stand safely?'" BART Spokeswoman Alicia Trost says that BART has tweaked its pole design after hearing various complaints from passengers. While they have no plans to ditch the handhold poles, the transit agency has moved it several inches away from the wheelchair area, increasing the width of the path to 49 inches. In addition, BART has also raised the point where the three tripod branches meet the pole by 3 to 4 inches to eliminate "pinch points" for wheelchair users. 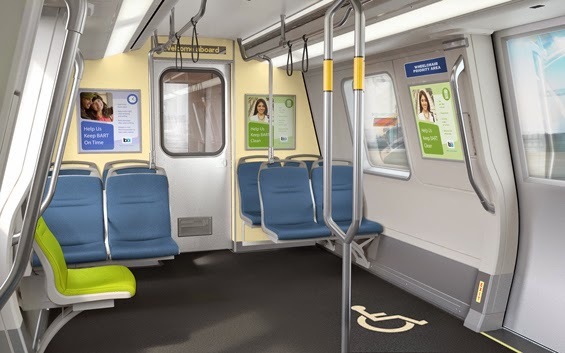 "We also plan to actively remind customers to step aside to make room for wheelchair users to more easily enter and exit the train, especially when conditions are crowded," BART states on its website. But that's not really going to solve the accessibility issue for wheelchair users and passengers using scooters, Lorenz says. She points to Washington, D.C. which is currently being sued for the very same thing. Tomorrow at 11 a.m., Lorenz and fellow activists plan to attend BART's grand opening of its new fleet at the Justin Herman Plaza. But they won't be there to celebrate. "We know we have less political pull than the Bike Coalition, and it's playing out," Lorenz says. "Our folks have had a hard time accessing BART since they allowed bikes on trains at all times so this has culminated and everyone is ready to take it to the streets." BLANTYRE, MALAWI — Malawians who are blind are pushing the Malawi Electoral Commission to make available tactile ballot guides (TBG) for them to cast their votes independently. In previous elections, they have been relying on guides who do the marking for them. They argue that such an arrangement violates their right to choose because they were not sure if their guides had really marked on the candidate of their choice. An advocacy group for the rights of people who are deaf and blind, the Visual Hearing Impairment Membership Association, said that tactile ballots will help ensure the full participation of the disabled in the elections. “The issue is that these people seem not to be assisted in the past elections. Yes, there might have been some problems [on the part on the commission] in the past, but this time we are saying ‘no, no, no.' These people by nature have a right to vote as human beings and children of this country,” said Hockings Munyenyembe, program manager for the association. Munyenyembe said people who are deaf and blind have long been cheated by the electoral procedure, which allows them to use guides during voting. He believes this is a violation of their right to privacy. “In most cases it had been discovered that these people [guides] had the opportunity to manipulate the system because, yes, the blind person could choose the person by naming, but when it comes to physical ticking, the person guiding the deaf blind person had a chance to change the other side," explained Munyenyembe. Research by the association in 2010 showed that Malawi had more than 6,000 people are visually and hearing impaired. However, Munyenyembe says the association boasts about 2,800 registered members. And about 300 of them are expected to cast their ballots. 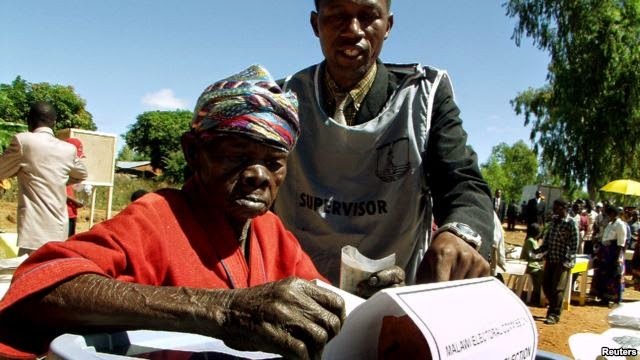 Sangwani Mwafulirwa, spokesperson for the Malawi Electoral Commission, told VOA that although the electoral law allows a visually impaired person to bring someone from home to assist in voting, the commission will make sure that this time around they vote independently. “As the Malawi Electoral Commission, we have made it clear that we are going to provide tactile ballots in each and every center, so that if someone comes and needs to use a tactile ballot, they can use it,” said Mwafulirwa. But Munyenyembe says with few weeks remaining to the election, they are worried about the slow pace the commission is taking to produce the tactile ballot. He says the association would need the sample ballots to pre-test them as well as to educate qualified voters on their use. The Federation of Disability Organizations in Malawi, or FEDOMA, said it is seeking legal redress that would compel the commission to meet the demands of the people with disabilities for the elections. Action Amos is executive director of the organization. He told a news conference last week in Blantyre that, among other things, the commission has failed to come up with an action plan and budget allocation for issues of accessibility for people with different disabilities. “As an organization which represents persons with disabilities, we think that we need legal redress so that these people with disabilities are also able to cast their votes,” said Amos. Mwafulirwa told a local radio, Capital FM, that the commission is making efforts to address all concerns raised by FEDOMA. But he said the commission cannot stop anybody from taking it to court. Ken Burns's The Address (PBS, 9 p.m. April 15, 2014) is just unusual enough that I wish it were better, but it's still so unusual — peculiar, even — that I'm recommending it. The advertising imagery suggests it's a film about the meaning of the Gettysburg Address, a 272-word passage in American politics that's arguably the piece of writing that most defines the U.S. Civil War. This is a subject tailor-made for Burns, who broke through to national prominence with his PBS miniseries The Civil War and went on to become public TV's virtual Smithsonian institution, curating our historical memory for us, with and without fiddle music. The Address, however, features none of the oft-parodied Burns storytelling techniques. It's really a documentary about the Greenwood School in Putney, Vermont, which houses 50 boys ages 11 to 17 who have various learning disabilities, including dyslexia, dysgraphia, executive function, and ADHD. With help from teachers, administrators, and advisors, the boys try to overcome their problems in order to memorize the Gettysburg Address. This is apparently a tradition at the school. The documentary genuflects in the direction of the "ticking clock" genre by telling us how many weeks are left until all the boys have to recite the Address, but its tone is unhurried to the point of being relaxed. Even though the story of the kids and the school is sometimes interrupted by factoids about President Lincoln's most famous bit of writing and the historical circumstances that birthed it — backed with music and voice-over narration performed by the students — the titular paragraph is just an excuse to tell us about the students' learning disabilities, what they mean in everyday terms, and what can be done to manage them. Along the way we also get lots of fly-on-the-wall scenes of the teachers working with the kids and zeroing in on their own distinct difficulties. One boy has trouble keeping focused. Another stumbles over particular words or phrases. Another seems fixated on his version of order, is annoyed that the Gettysburg Address doesn't fit it, points to a particularly irksome phrase, and asks the teacher, "Why can't you just switch it around?" If you have a friend or family member with a disability, you already know a lot of what The Address has to say, but if you've been untouched by this particular set of challenges, this might be an eye-opening primer. A school therapist tells us that for many of these kids, memorizing and accurately reciting 272 words is "the ultimate, difficult thing." The Address is also Burns's loosest documentary in a long while. Eschewing the minimalistic formal control he usually brings to every topic — a toolkit of shots, cuts, and music cues as tight and regimented as Stanley Kubrick's or Wes Anderson's — he takes a 1960s observer approach, watching kids from far away with a zoom lens as they do their work. There are some wonderful caught moments, including a mini-montage of the kids snowboarding and sledding, and a cutaway from two kids studying the Address that reveals the underside of the desk, where one boy's sock feet are nervously swinging. The movie feels too long, padded even, but its relaxed vibe and non-cloying tone are a tonic. Some say murder accused Oscar Pistorius is doing people with disabilities a disservice by blaming a heightened sense of vulnerability on his lack of lower legs. Others say Pistorius is right: disabled people are seen as soft targets, and serious debate is needed on whether they should get subsidised handguns. The Paralympic athlete, on trial for the murder of his girlfriend, Reeva Steenkamp, started giving evidence this week in the Pretoria high court and everyone seems happy that disability came into the spotlight and hope it will change the lives of others, regardless of the outcome. "In the most unlikely event that he is found guilty and must serve a sentence, then the discussion becomes what kind of facility he must go to, and whether it is friendly to the disabled," Olwethu Sipuka, the spokesperson for activist group Disabled People South Africa (DPSA), said. As a successful Paralympian, Pistorius was a role model to other people with disabilities, but he became a universal superstar by breaking into the able-bodied Olympics. Organisations that had long struggled to convince the country that disability could be conquered suddenly found the going much easier and exploited the opportunity. But it has become clear that opinions are sharply divided. "You can't hold up a gold medal in one hand and a pistol in another," said Ari Seirlis, chief executive of the lobby and advocacy group, QuadPara Association of South Africa. "We chose not to say a word, but then Oscar started the debate [and] said to the world 'I feel vulnerable because of my disability'. "And we're saying he didn't earn the right to use that as an excuse; when he earned the gold, he took away his right to use that excuse." In many ways, people with disabled are considered a homogeneous group. Had he met the income and asset thresholds, Pistorius, one of the fastest men on the planet, would have qualified for the same state disability grant as a quadriplegic with little or no mobility. 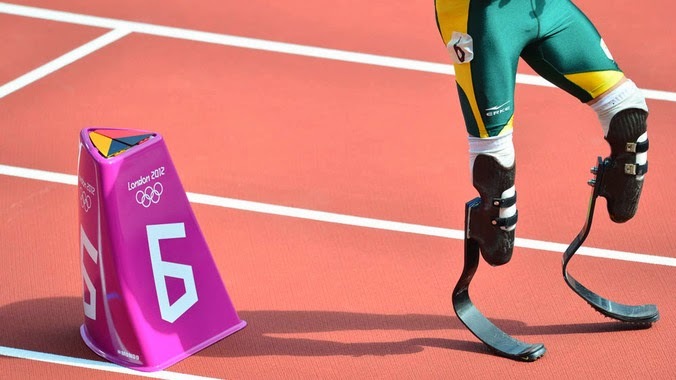 In the Paralympics, however, distinctions are drawn between different types of disability to make competition fairer and therein lies Seirlis's bugbear: in Paralympic terms, Pistorius is among the most abled of the disabled. Seirlis's organisation was among those that made a poster child out of Pistorius and featured him on the front page of its magazine. The day before he shot Reeva Steen­kamp, Seirlis said, Pistorius phoned him for help with the paperwork that would allow him to import a Maclaren sports car without paying the usual duty (which is waived for vehicles modified for use by disabled people). But now Seirlis uses phrases such as "scraping the bottom of the barrel" about Pistorius. "We feel he has downgraded the view that people have of us in order to try and get himself some leeway with the judge and the assessors," Seirlis said. But that is far from a universal view. The DPSA is gravely concerned about the risks faced by disabled people, Sipuka said. The fear of violent crime is rooted in reality, even for Pistorius. "People are saying, 'Why would this disabled person have so many firearms?' – because this is a guy who understands the kind of society we find ourselves in, where people with disabilities are soft targets and are victimised. "Many of our members with wheelchairs have guns. In the townships, they tell us that, when they come from getting their grants, they know they [the criminals] will attack." No organisation for people with disabilities wants to court controversy but, in private, some have floated the suggestion that handguns should be subsidised, tax-free, easily accessible, or all three, for people able to use them but limited in their mobility and ability. But they will settle for some attention, by way of the Pistorius trial, to be paid to the disadvantages disabled people face in dealing with the legal system – the lack of sign-language interpreters to take statements and complaints from the deaf, the lack of Braille transcripts of court proceedings, the wheelchair-unfriendly nature of public buildings and the inaction over pleas for help, protection and support. Others simply want those who work hard to attain equality, and are lionised when they achieve it, to stick to that narrative. "The fact is that Oscar became famous because he is well built, because he is strong, for no other reason," Seirlis said. "When you become famous for that, you can't revert to vulnerability again when it suits you." From The Hollywood Reporter. 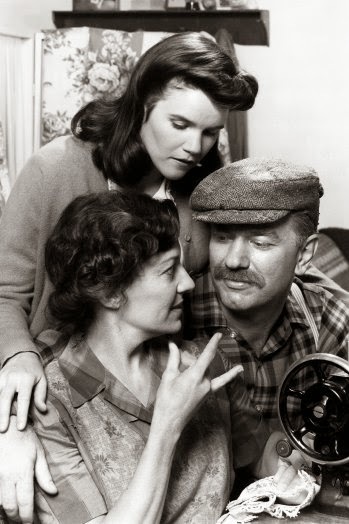 Pictured is Frelich with Mare Winningham (top) and Ed Waterstreet in "Love Is Never Silent." Phyllis Frelich, the deaf actress who won the best actress Tony Award in 1980 for her performance in the best play winner Children of a Lesser God, has died. She was 70. Frelich's death was reported April 10 by the Deaf West Theatre group in North Hollywood. "You paved so many roads for us, Phyllis," it said on its Facebook page. "A leading light of our community has been lost, and we mourn deeply." No other details of her death were immediately available. Marlee Matlin was the recipient of the best actress Oscar for playing Sarah Norman, the role that Frelich originated, in the 1986 Paramount Pictures film version. Matlin said on Twitter that she was "devastated … [Frelich] was a TRUE talent. RIP"
In the original Broadway play, a speech therapist (John Rubinstein) who works at a school for the deaf falls in love with a maid/student at the school, played by Frelich. It was written by Mark Medoff and first performed in a workshop production at New Mexico State University, with Frelich and her husband, Robert Steinberg, starring. He survives her. Frelich, born to deaf parents and the oldest of nine deaf children in her family, earned an Emmy nomination for her supporting role in the 1985 Hallmark Hall of Fame miniseries Love Is Never Silent and had a regular role as a deaf nun on the NBC soap opera Santa Barbara. She also appeared on such TV series as Barney Miller, Gimme a Break!, Spenser: For Hire, Hunter, L.A. Law, Pacific Blue, ER, Diagnosis Murder and, most recently, in a 2011 episode of CSI: Crime Scene Investigation as the mother of Gil Grissom (William Petersen). A native of Devils Lake, N.D., Frelich attended the North Dakota School for the Deaf and then Gallaudet University in Washington. She performed the American Sign Language interpretation of Jewel's rendition of the national anthem at the Super Bowl in 1998. 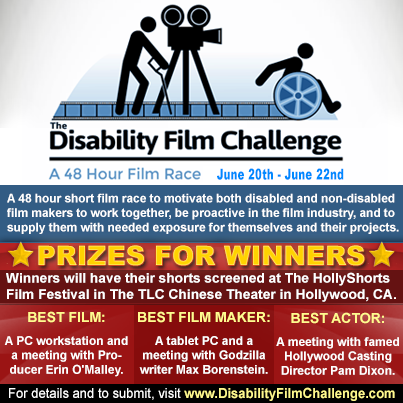 The inaugural Disability Film Challenge will be a weekend short film challenge will that will take place on June 20th - 22nd, 2014. The Disability Film Challenge's purpose is to motivate disabled and non-disabled filmmakers to be proactive in the film industry and to supply them with a means of exposure for themselves and their projects. It was started by Nic Novicki, a little person actor and producer. Even with a successful acting career in projects like "Boardwalk Empire" and "Drop Dead Diva," Novicki realized Hollywood doesn't usually like to think outside the box, so he decided to create the roles he wanted to play for himself and began producing his own projects. He created The Disability Film Challenge to empower others in similar situations as well as to showcase stories about disability that don't always get told in the mainstream media. Entrants will have 48 hours to make a three to five minute film on the topic of disability. On top of thematic and story rules, entries must include elements that at the very least, acknowledge disability to create awareness of these unique stories that are not being told. The winning films will screen at the TCL Chinese Theaters in Hollywood during the HollyShorts Film Festival this August. The Disability Film Challenge will also set up mentors for the winning films. Erin O'Marley, one of the producers of "New Girl" and "Curb Your Enthusiasm," will mentor the winner of the Best Film award. Max Borenstein, the writer of Legendary’s upcoming "Godzilla" and "Seventh Son," will mentor the winner of the Best Film Maker award. Casting director Pam Dixon who cast such films as "The Mask of Zorro," "City Slickers" and "Green Lantern," will be mentoring the winner of the Best Actor award. 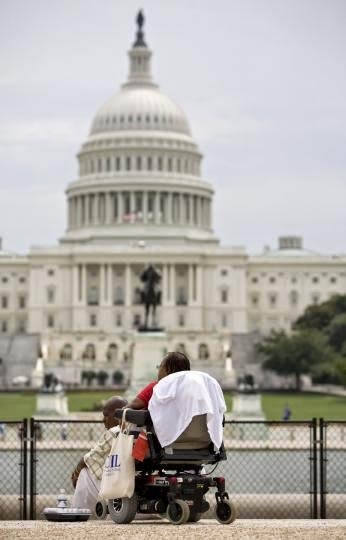 WASHINGTON -- On April 8, 1864, when the United States was in the midst of Civil War, President Abraham Lincoln signed an Enabling Act, essentially a Congressional Charter, to allow a small school for deaf students in Northeast Washington, D.C., to confer college degrees. That school is now known as Gallaudet University and it remains as the only four-year liberal arts university in the world for deaf and hard of hearing students. To commemorate the 150th Anniversary of the signing of its Charter, on Tuesday, April 8, 2014, Gallaudet will host a daylong Charter Day Festival which will include the grand opening of the Gallaudet University Museum's exhibition, "Gallaudet at 150 and Beyond." 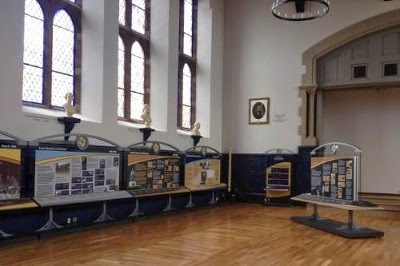 On April 8, the Gallaudet University Museum will host its grand opening events in the recently renovated historic Chapel Hall on the Gallaudet Campus. The museum exhibition "Gallaudet at 150 and Beyond" begins in the mid-19th century with Thomas Hopkins Gallaudet and the founding of deaf education in America and guides visitors through the rich history of Gallaudet, highlighting the important people and significant events that had a role in the university's history. Public Grand Opening: 1:30 to 3:00 p.m.
Ribbon cutting to be held on the steps of the Chapel followed by public entry. Charter Day Festival Opening CeremonyTime: 9:00-10:30 a.m.
Reading of an official proclamation from District of Columbia Mayor Vincent Gray declaring April 8th as "Gallaudet University Day." Skit re-enacting the actual Senate floor debate over the enabling act. A poetic narrative performance in American Sign Language "The Gallaudet Sesquicentennial Story"
The opening ceremony will be followed by a group photo of all students, faculty, staff, alumni and guests on the University's mall. Built in 1870, Chapel Hall is listed on the National Registry of Historic Places and one of the finest examples of pre-Civil War collegiate architecture in the U.S. On the evening of April 8 the Chapel will be "lit up" with a multimedia show of colored lights and American Sign Language (ASL) signs. This offers a nice backdrop for live shots in 10:00 p.m. newscasts. Below is a list of Gallaudet administrators and faculty who are available for interviews. Students are also available for interviews. The list is not exhaustive. President T. Alan Hurwitz: Prior to becoming president of Gallaudet University in 2010, Hurwitz was president of the National Technical Institute for the Deaf (NTID) in Rochester, N.Y. He is past president of the National Association of the Deaf and the World Organization of Jewish Deaf. Hurwitz is currently chair of the North Eastern Athletic Conference (NEAC) Presidents' Council, the first deaf person to hold this position in NEAC history. He also serves on the board of directors for the D.C. Chamber of Commerce. Fred Weiner: Assistant Vice President, Administration. Mr. Weiner is responsible for the university's local and Federal government relations, community relations and real estate development projects. Brian Greenwald, Ph.D. - Professor, Department of History, Philosophy, Religion and Sociology. His areas of expertise are American deaf history and 19th Century U.S. social history. He is co-editor of A Fair Chance in the Race of Life: The Role of Gallaudet University in Deaf History and has also published chapters in The Deaf History Reader and Genetics, Disability, and Deafness. Jane Norman, Ph.D. - Director Emerita, Gallaudet University Museum. Dr. Norman was a long-time faculty member at Gallaudet, formed the first Gallaudet University Theatre touring company, and re-designed the pilot, Images into the Emmy-award winning Deaf Mosaic, a television magazine format series that aired nationally for ten years. As producer and director, Dr. Norman created the concept of the Festival unit that became an integral part of the University's successful 1989 DEAFWAY and model for the following 2002 DEAFWAY. In 2002 she coordinated the DEAFWAY Film Festival. 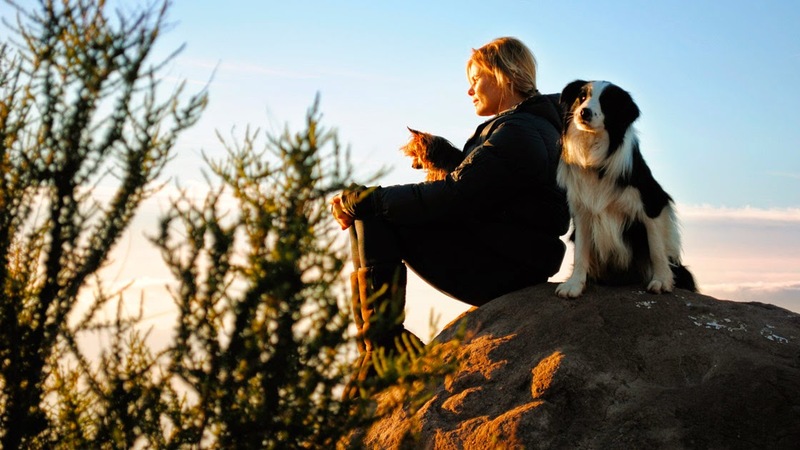 In 2010 she served as the producer and director of the 2010 competitive WORLDEAF Cinema Festival. Michael Olson - Interim Director, Gallaudet Library Deaf Collections and Archives, which contains the most comprehensive collection of deaf-related materials in the world.